A positive and successful experience depends on having a good quality & well-sized instrument. Do not obtain an instrument for your child before your teacher approves the size. The Brooklyn Conservatory of Music does not sell or provide instruments. 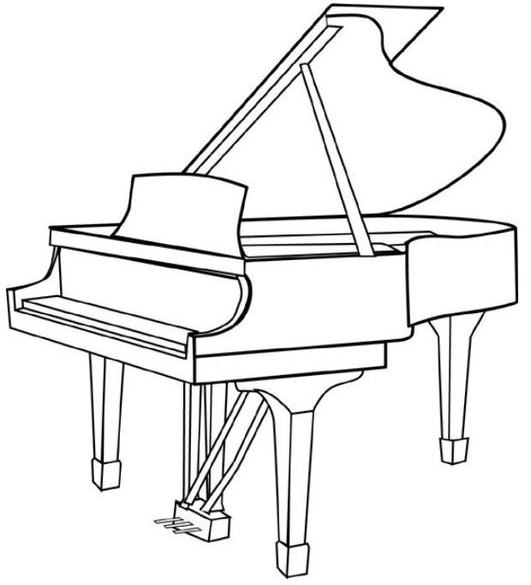 A real piano with strings and hammers (Upright, Baby Grand, or Grand) is REQUIRED. No electric keyboards or digital pianos – no exceptions; if the piano has buttons, and runs on batteries or electricity, it is not permitted. If you are not able to fit a real piano in your apartment, or the cost is prohibitive, inform the Director, because you should not choose piano for your instrument. You may rent or purchase a piano. Some companies have a rent-to-own option, others have financing available. Another option is to find someone selling or giving one away (Craigslist, for example); usually you pay for the moving cost. In this case it is very important to have someone who knows pianos very well to look at it before you take it, so you know that it is in good condition. Please refer to our comprehensive PDF list of Piano Stores for renting, purchasing, tuning and repair information found here. Why A Real Piano Instead of a Keyboard? An electric keyboard is not a piano. Electric keyboard have a very different action from the real piano, even with weighted keys. The keys are harder to press, and children learn to bang the keys. This affects their technique. In Suzuki, we say that “habits learned first, are learned best.” So, if a child learns an incorrect technique at their keyboard at home, it will be very difficult to change the habit later on. The keyboard also affects the ear and concept of tone quality. Keyboards do not have the rich, ringing tone and coloristic range that the actual piano can give you. After all, music is about sound. In Suzuki, we refer back to the language learning analogy. Did you ever wonder whether your child would be able or would be interested in learning to speak? Of course not! We have an expectation of success from the very start. If you don’t invest and obtain the real piano, it sends a message to your child that the process might not work, that you have doubts, that you don’t expect success. Music education is an investment with ongoing costs, such as lessons, tuning, buying sheet music & supplies, instrument repair, instruments, etc. We must be prepared to provide our children with the proper equipment from the start. We can not expect to engage children if they don’t have the right equipment. Children are not going to be inspired if the only time they get to play on the real instrument is at their lessons. When they go home, they have to go back to the reality of practicing on the electric keyboard. Children will of course be reluctant to practice under this condition. Summer Strings and Piano Workshop! Join us for another great week of summer music making! For students age 8 - 14, playing at level late Suzuki book 1 and up or NYSMA level 1 & up. Designed for older BKCM Suzuki students, but open to students outside our program, so bring a friend! Contact us if your child is age 7 and in late book 1 to see if the program might work for your child.